It is worth checking some common clichés to see if they are still currently valid. We thought until now that jazz was mainly American black music, preferably played in the dark basements of Manhattan. Iceland is considered the land of volcanoes, geysers, elves and Björk's homeland. And Luxembourg is supposed to be no more than a tax haven. There have been virtually no points of contact between these three terms until now. But thankfully no one cares about such traditional ways of thinking in 2019. Jazz has long since expanded its dense network around the globe, and there is a vital scene of this genre in Iceland with an excellent education system and many good musicians who sometimes find the perfect partners to realize their musical ideals even in Luxembourg. 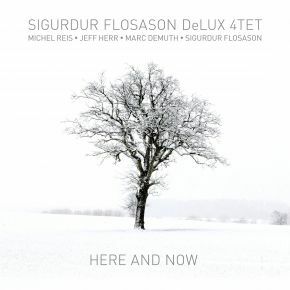 The smallest and largest common denominator between all the poles is Sigurður Flosason, who plays saxophone, comes from Iceland, is considered one of the most renowned instrumentalists in the small country and — together with the excellent trio around the Luxembourg pianist Michel Reis (Marc Demuth, Bass; Jeff Herr, Drums) — positions himself impressively and precisely in the present: “Here and Now”. They call themselves the “DeLux 4Tet”. In fact, the group with a common destiny harmonizes beautifully together, lets its ideas flow into each other, grants itself all the room and all the time of the world and never sounds like the band of a saxophonist – although this would certainly have deserved the undivided attention of a listener with such an inclination. This is because Flosason combines the rhapsodic elegance of a Wayne Shorter with the expressiveness of a John Coltrane without creating the suspicion of being a mere copyist. And above all, he avoids one thing: sounding Nordic (again such a cliché!). “We cannot be compared to other Scandinavian scenes such as in Sweden or Norway,” the 54-year-old explained. “There are only 300,000 people living in Iceland. They are very proud of their homeland, but also very interested in everything else that happens in the world.” This explains many things. Flosason is not the only one who began his education at Reykjavik College of Music and then went to America to receive a “higher ordination” there. In his case, he studied at Indiana University where he practiced until graduation — both in jazz and on the classical saxophone — and got a finishing touch from the legendary tenor saxophonist George Coleman. After his return home, Sigurður quickly became one of Iceland's most active jazz musicians. His discography now includes more than 20 CDs with an extremely wide range of own compositions and jazz standards as well as experimental music and improvised solo performances with the Icelandic Symphony Orchestra and the Swedish Norrbotten Big Band. He also left his traces as conductor of the Reykjavik Big Band and a founding member of the Icelandic Saxophone Quartet. 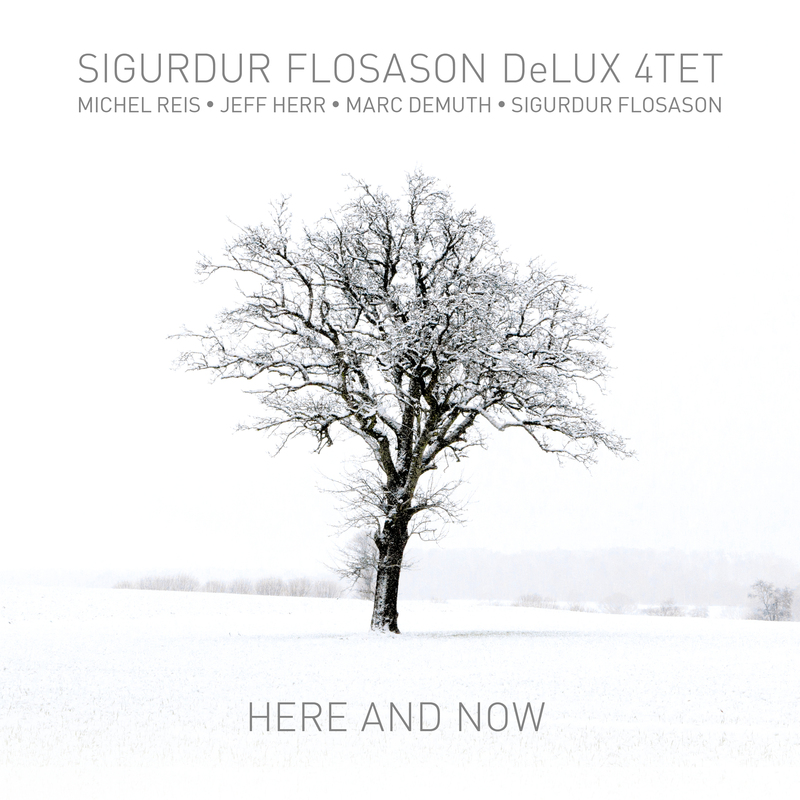 On “Here And Now”, Sigurður Flosason scatters his ripe, variable, multi-faceted tone discreetly but unmistakably into the arrangements. In addition, his compositional talents can be admired on pieces such as “Counting Sheep”, “Father Of Light” and “Forty-Nine”. The other members of the DeLux 4Tet also contributed their own compositions. Michel Reis is responsible for the title song “Stanley Park” and “Thank You Letter”, Marc Demuth composed “Dante”, and Jeff Herr's piece is adorned with the title “Moonglow”. As a result, the four constantly shape new platforms for their vital stories, which captivate and touch without words, attract attention and yet completely renounce effects, tricks and games of force, simply eliminate the definition and style limits and nevertheless provide a reflection of what Jazz 2019 is supposed to be: A prejudice-free art form that has long since been redefined and bears the individual handwriting of the respective protagonists.